No mainstream political party had commented till Saturday night on the statement by the Chief Justice of India that the judiciary is under a serious threat but some lawyers wondered whether Justice Ranjan Gogoi should himself have participated in the special sitting. The Chief Justice said he had to convene the special session to show that the judiciary cannot be turned into a scapegoat by vested interests. We cannot allow this.… I want to tell the citizens of this country is that today (the) judiciary is under a serious threat,” Justice Gogoi said. The Chief Justice refrained from signing the order that was passed after the special session. Having done that, the Chief Justice stepped aside when it came to signing the order, they pointed out. Former Prime Minister Manmohan Singh on Saturday dismissed fears about the viability and funding of the Congress’s promised minimum income guarantee scheme, the Nyuntam Aay Yojana or Nyay, particularly the idea that it cannot be implemented without excessive taxation. “Nyay will cost between 1.2 per cent (and) 1.5 per cent of (the) GDP at its peak. The economic stimulus that Nyay will provide will further help in fiscal discipline.”Singh added: “Nyay will ensure a basic level of dignity and respect for every Indian family. By providing direct income support, Nyay will empower our poor with economic freedom and choice. “With Nyay, India will usher in an era of a minimum income guarantee and help create a new social contract for a new welfare state. राजनीति से संन्यास ले चुके भाजपा के वयोवृद्ध नेता जीतमल जैन ने कहा कि आज राजनीति व्यवसाय हो गई है। पार्टियों में नैतिकता का पतन हुआ है। राजनीति में पैसे का बोलबाला है। अब देश नहीं, नेता बड़े हो गए हैं। जैन ने कहा कि भगवाधारियों को चुनाव लड़ाना मैं भाजपा की भूल मानता हूं। साधु-संतों को समाज को दिशा देनी चाहिए। मूलतः अजमेर के रहने वाले जैन ने अलवर को राजनीति की कर्मस्थली बनाया था। 1955 में वे अलवर आए और 1972 से 1990 तक 5 चुनाव लड़े। इनमें 3 बार वे विधायक बने। वे आरएसएस भी जुड़े रहे। 1972 में पहला चुनाव भारतीय जनसंघ से लड़े और हार गए। इसके बाद उन्हें 1985 में भी पराजय का सामना करना पड़ा। 1975 में आपातकाल के दौरान वे 19 महीने जेल में रहे। 1977 में में जनता पार्टी के टिकट पर पहली बार विधायक बने। इसके बाद 1980 तथा 1990 में विधायक रहे। वे दो बार भाजपा के जिला अध्यक्ष और दो बार नगर विकास न्यास के चेयरमैन रहे। अब 89 साल की उम्र के हो चुके जैन से दैनिक भास्कर ने मौजूदा राजनीति पर बातचीत की। पेश है, जैन से हुई बातचीत के अंश-भास्कर : आपके समय के चुनाव और आज के चुनाव में क्या बदलाव देखते हैं?उत्तर : मैंने 5 चुनाव लड़े। सब जनता का पैसा था। चुनाव के बाद जो पैसा बचता, उसे पार्टी फंड में जमा करा दिया जाता। उस समय कार्यकर्ता ईमानदार था। बूथ लगाने वाला कार्यकर्ता एक रुपए नहीं लेता था, घर से रोटी खाकर आता था। अब कार्यकर्ता को पैसा चाहिए। आज राजनीति में पैसे का बोलबाला है। लोगों के लिए पैसा सब कुछ है। मैं सारी जिंदगी साइकिल पर चला हूं।भास्कर : आप राजनीति में क्या बदलाव देख रहे हैं?उत्तर : आज राजनीति व्यवसाय हो गई है। उस समय देश बड़ा था। अब देश नहीं, नेता बड़े हो गए हैं। राजनीति में आरोप- प्रत्यारोप के दौर चल पड़े है। नैतिकता का पतन सब पार्टियों में हुआ है। किसी में ज्यादा तो किसी में कम। राजनीति के साथ अब तो चिकित्सा, शिक्षा और मीडिया भी व्यवसाय बन गया है। राजनीति में ही नहीं नैतिक पतन सारे समाज का हुआ है।भास्कर : साधु-संतों का राजनीति में आना क्या उचित है?उत्तर : भगवाधारी जो समाज को दिशा देने वाले हैं, उनको चुनाव लड़ाना भाजपा की भूल मानता हूं। समाज को दिशा देने के लिए इन्होंने घर छोड़ा है। आप राजनीति में आ रहे हैं। सांसद, मंत्री और मुख्यमंत्री तक बन रहे हैं। राजनीति में जब पैसे का बोलबाला है, तो वो क्या ईमानदार रह सकते हैं? 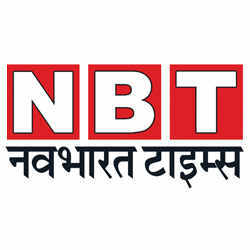 राजनीति में झूठ भी बोलना पड़ता है।भास्कर : आप मानते हैं कि राजनीति का स्तर गिरा है?उत्तर : देखिए, कितना बड़ा सोच था उस समय की राजनीति का। 1955 में जागीरदारी उन्मूलन एक्ट बनना था। उस समय राजस्थान में कांग्रेस की सरकार थी। अधिकतर जागीरदार स्वतंत्र पार्टी में थे। सरकार ने बैठक बुलाई। दो दिन तक बैठक चली। बैठक में चर्चा हुई कि जनसंघ को समर्थन करना चाहिए या नहीं। अंत में निर्णय लिया कि राजस्थान और देश के हित में कानून बनना चाहिए। भारतीय जनसंघ ने इसका समर्थन किया। प्रधानमंत्री पीवी नरसिंहाराव ने भी देश के लिए अटल बिहारी वाजपेयी को संयुक्त राष्ट्र संघ में भेजा। यह नैतिकता थी।भास्कर : क्या आप मानते हैं कि लालकृष्ण आडवाणी की पार्टी ने उपेक्षा की है?उत्तर : पार्टी में सारी व्यवस्थाएं बदल गई हैं। आज मुझे भी कौन पूछता है? आडवाणी जी मेरे पास अलवर में रहे हैं, मै निजी तौर उन्हें अच्छे से जानता हूं। आज लगता है कि मेरा 75 साल की उम्र में राजनीति से संन्यास लेने का फैसला सही था।भास्कर : पिछले 5 साल के केंद्र सरकार के कार्यकाल को कैसा मानते हैं?उत्तर : यह बात ठीक है नरेंद्र मोदी ईमानदार और व्यक्तिगत रूप से ठीक हैं। उनके कार्यकाल में उनके मंत्रिमंडल के किसी भी मंत्री पर बड़े भ्रष्टाचार के आरोप नहीं लगे। हालांकि देश बड़ा है। कुछ नेताओं पर लगाम नहीं लगा सके। उसका परिणाम राजस्थान में देखने को मिला। राजस्थान में राजाशाही चली। मुख्यमंत्री खुद रानी बन गई और विधायकों को जागीरदार बना दिया। उसका परिणाम जनता ने चुनाव में दे दिया। आज विधायकों के पास करोड़ों रुपए कहां से आए? Katrina Kaif continues to be in big demand. Earlier, After Hrs had conjectured that the Bharat actress might clash with her best friend Salman Khan next Eid because she is the leading lady of Sooryavanshi. Well, the conjecture is now giving way to confirmation. Kat has already shot for its poster with the film’s leading man, Akshay Kumar. Later this summer, the two Bollywood superstars will begin shooting the exciting, fast-paced cop drama that has a ‘contraband’ angle to it. 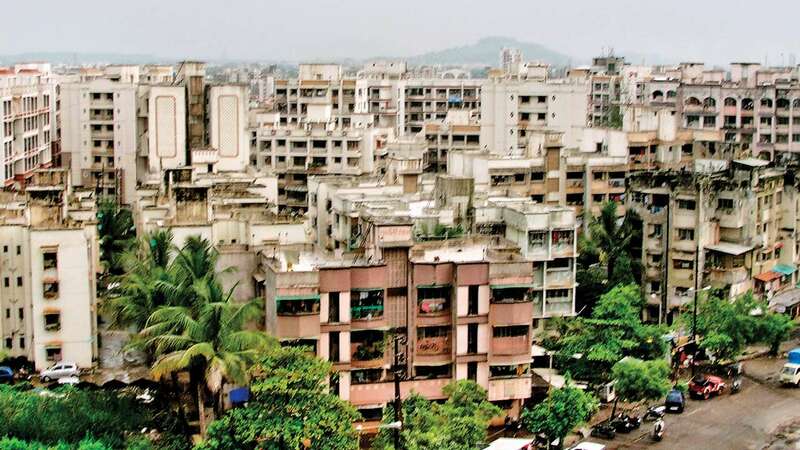 Developers across Maharashtra have decided to not launch any major residential project until the Lok Sabha polls come to an end. In 2004, the government got a major boost from the Southern states and they hope to repeat the same in the ongoing Lok Sabha polls. As part of their strategy, Congress president Rahul Gandhi is contesting from the Wayanad Lok Sabha seat in Kerala," a developer said on the condition of anonymity. He said that there is no satisfactory sale of properties, therefore, there is no point launching mega residential projects during this volatile period. Sunil Mantri, ex-president of the Maharashtra Chamber of Housing Industry (MCHI) confirmed that developers are not taking the risk of launching big projects for now. Tawde said that Thackeray did the same thing about Harisal village in Amravati district, where he selectively recorded a video footage and misrepresented it. Explaining certain facts about the village, Tawde said that Dhasai's cashless transactions started long back and it is the first village that has been doing it. Tawde said that instead of taking this fact into consideration, Thackeray is showing interviews with accusatory questions and is making tall claims about lack of development. Criticising Thackeray over the demonetisation issue, Tawde said, "it seems that demonetisation has cost Thackeray heavily. Retaliating to flak from NCP President Sharad Pawar on the Rashtriya Swayamsevak Sangh (RSS), Tawde said, "Pawar said he does not wish to see Vijaysinh Mohite-Patil in RSS's attire of a half pant and a cap. 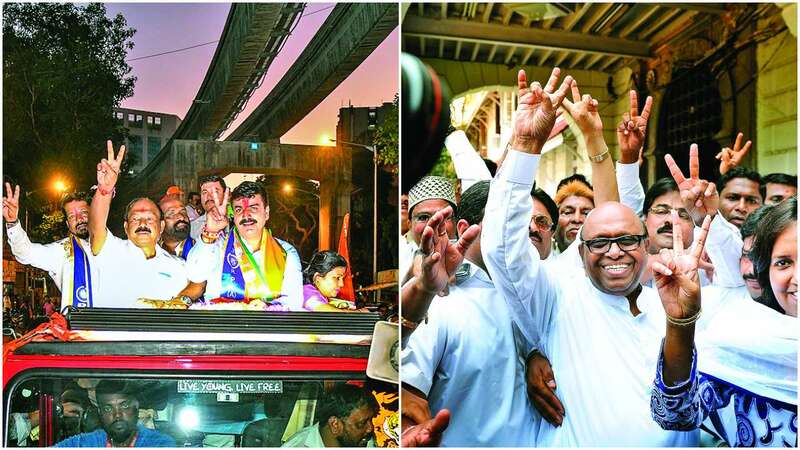 The South Central Lok Sabha constituency in Mumbai is re-witnessing a contest between current Shiv Sena MP Rahul Shewale and former two times Congress MP and veteran leader Eknath Gaikwad. One of the most eclectic constituencies in Mumbai, the constituency houses the Shiv Sena pocket borough of Mahim and Chembur and Anushaktinagar. 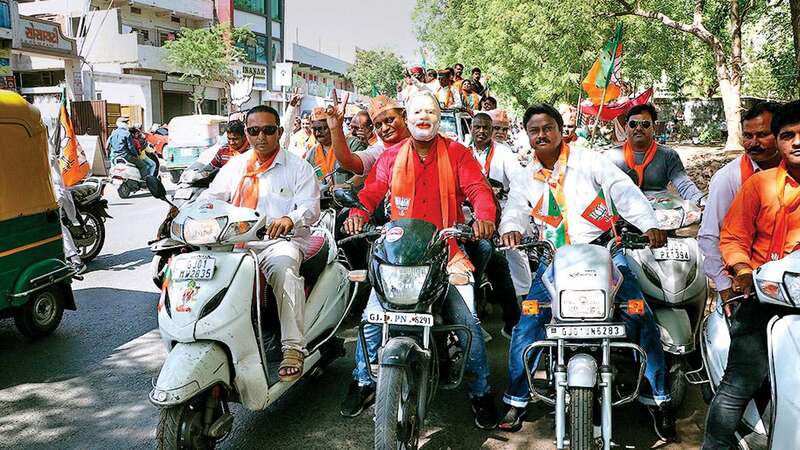 The constituency in 2004 was upset when Eknath Gaikwad defeated erstwhile Lok Sabha Speaker and Shiv Sena Leader Manohar Joshi by a margin of 13,329 votes. In a rejigged South Central constituency in 2009, following delimitation, Gaikwad won again defeating Sena's Suresh Gambhir by 75,706 votes. The constituency houses Raj Thackeray's residence who is giving fiery speeches all over the state to unseat the BJP. 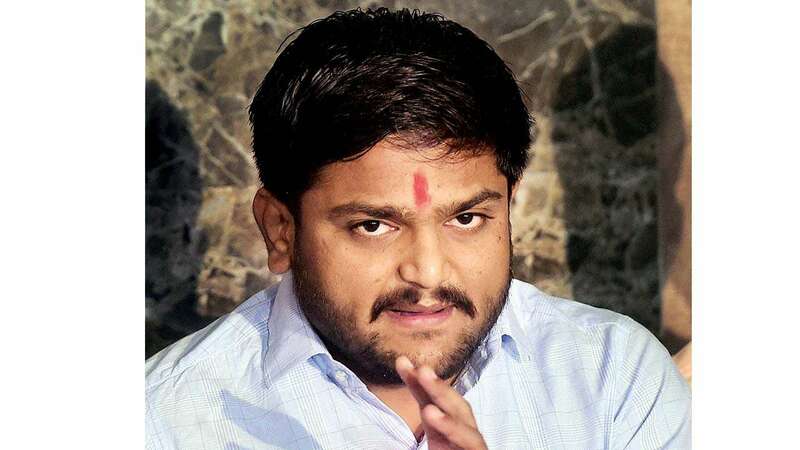 Clashes broke out during a public address of Congress leader Hardik Patel at Nikol on Saturday evening, as he campaigned for Geeta Patel, his party candidate from Ahmedabad East. Sources said some supporters of jailed PAAS leader Alpesh Kathiriya allegedly held banners protesting against Hardik, prompting the latter’s men to attack the former. PAAS convener Dharmik Malaviya told Zee 24 Kalak that there was no way Alpesh could have been involved in the skirmish. “It appears to be an effort to create a rift between Alpesh and Hardik to weaken the Patidar community,” said Malaviya. Hardik told the media that he did not see how the violence erupted, but called it an attempt by the BJP to disrupt his meetings. Overall 60% of all the total candidates have studied between Class 5 and 12. Total 59 candidates have studied up to class 10 while 27 have a postgraduate degree. Total 34 independent candidates have criminal offences registered against them while 10 in Congress and 4 candidates of BJP also figure in this category. While eight of the 10 candidates of Congress have serious criminal offences against them all four of BJP's candidates have serious criminal cases registered against them. BJP is the party with the highest number of crorepati candidates (24) while Congress comes second with 23 such candidates. 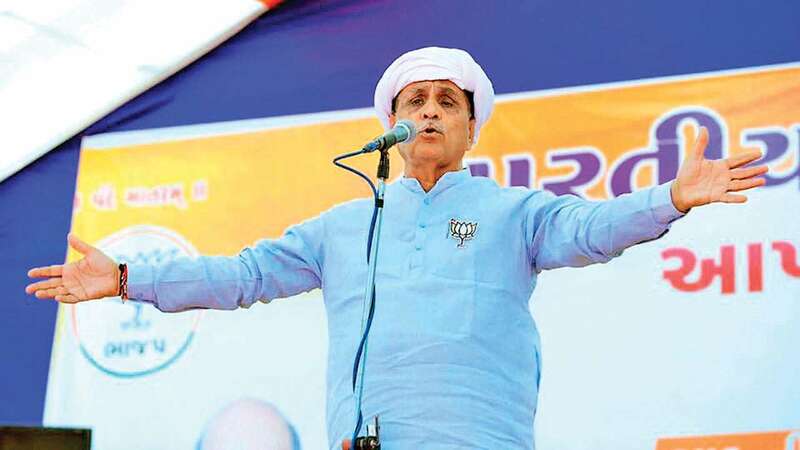 Retaliating to Congress leader Ahmed Patel's claim that Congress party will cross 'double digits' in the state, Gujarat Chief Minister Vijay Rupani on Saturday said the Bharatiya Janata Party (BJP) will repeat its performance of 2014 polls by bagging all the 26 Lok Sabha seats in the state. He also said that Narendra Modi is a Gujarati and it would be advantageous for the state to have such a person as the prime minister. Congress will not get even a single seat (in Gujarat)," said the chief minister while talking to media persons. Highlighting what Gujarat gained in the last five years, the chief minister said that the issue of the royalty of crude oil and gas was pending for years together. When asked to comment on Congress' claim that the BJP is raising nationalism to deflect from the main issues, Rupani said: "For ten years, Manmohan Singh was the Prime Minister. Jammu seat has the highest number of 24 candidates, followed by sensitive Anantnag with 18 candidates. Srinagar and Udhampur seats have 12 candidates each. For the first time since 1996 polls, many non-state subjects are contesting polls from the terror-plagued valley. Sajad Ahmad Dar aka Sajad Noorabadi, an independent from Srinagar, is likely to contest against Modi. Abdul Khaliq Bhat, a candidate from Shiv Sena for Srinagar, has been unsuccessfully contesting since 2008 from different parties. 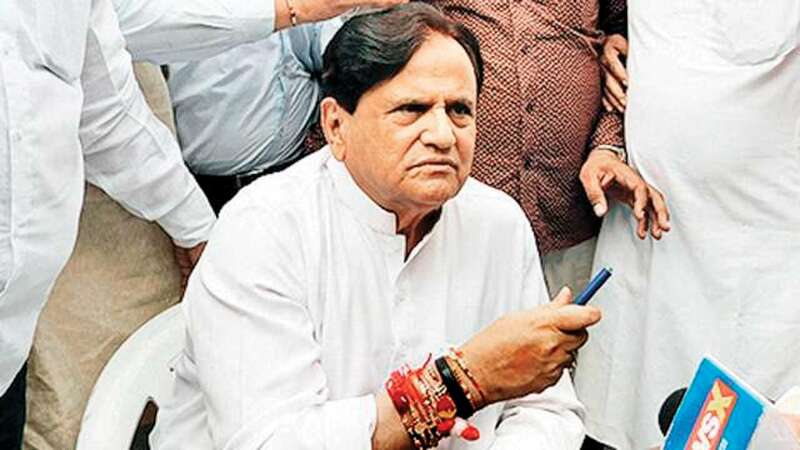 Congress will get at least 10-15 seats in Gujarat during Lok Sabha elections, Congress treasurer and Rajya Sabha member Ahmed Patel said in Rajkot on Saturday. This would be a significant improvement over 2014 Lok Sabha election results when the party failed to get even a single seat from the state. The party had bagged 77 seats in Vidhan Sabha elections of 2017. This roughly translates into 11 Lok Sabha seats. 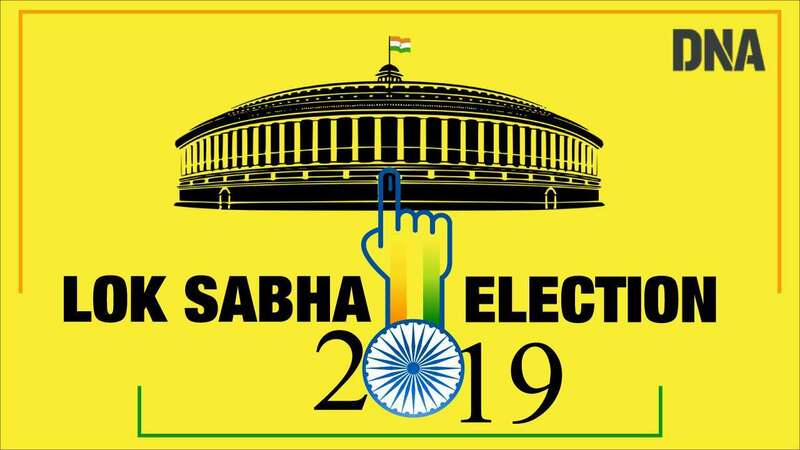 Of the 47 seats in Saurashtra region, the party had then bagged 27 seats, translating into about four Lok Sabha seats. 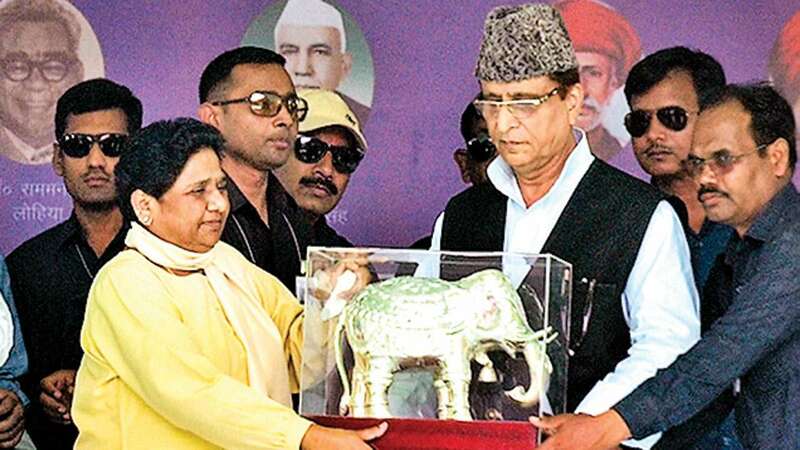 A day after BSP supremo Mayawati buried the hatchet with SP patron Mulayam Singh Yadav by sharing dais at Mainpuri, she took the newfound solidarity forward at Rampur on Saturday. The former Uttar Pradesh chief minister held a joint rally with SP chief and Mulayam's son Akhilesh Yadav, seeking votes for senior SP leader Mohammed Azam Khan, who recently courted controversy for derogatory remarks against BJP's Jaya Prada. 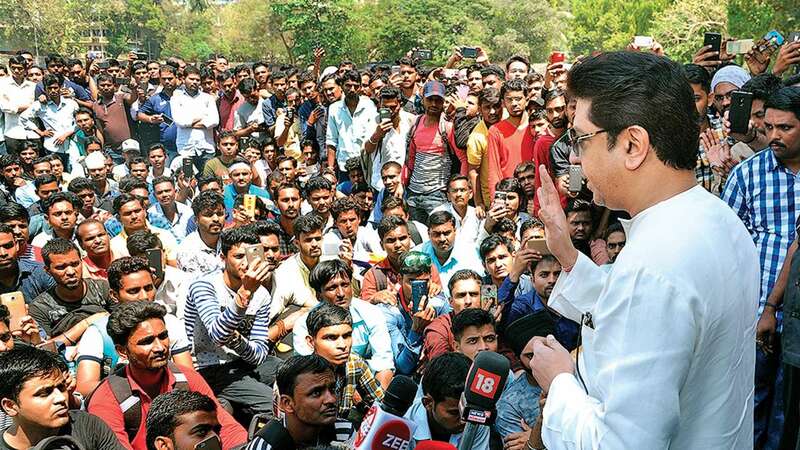 The SP leader who is notorious for taking impolite jibes at rivals, however, pleaded innocence at the rally, claiming that he was being hounded like a terrorist. The BSP chief and the SP patriarch Mulayam Singh were seen in one frame on Saturday at joint SP-BSP rally, ending decades of political acrimony and personal bitterness. Mayawati waxed eloquent while seeking votes for Mulayam whom she hailed as the "real and true leader".